You can certainly be confident of comfort, fit and overall feel. 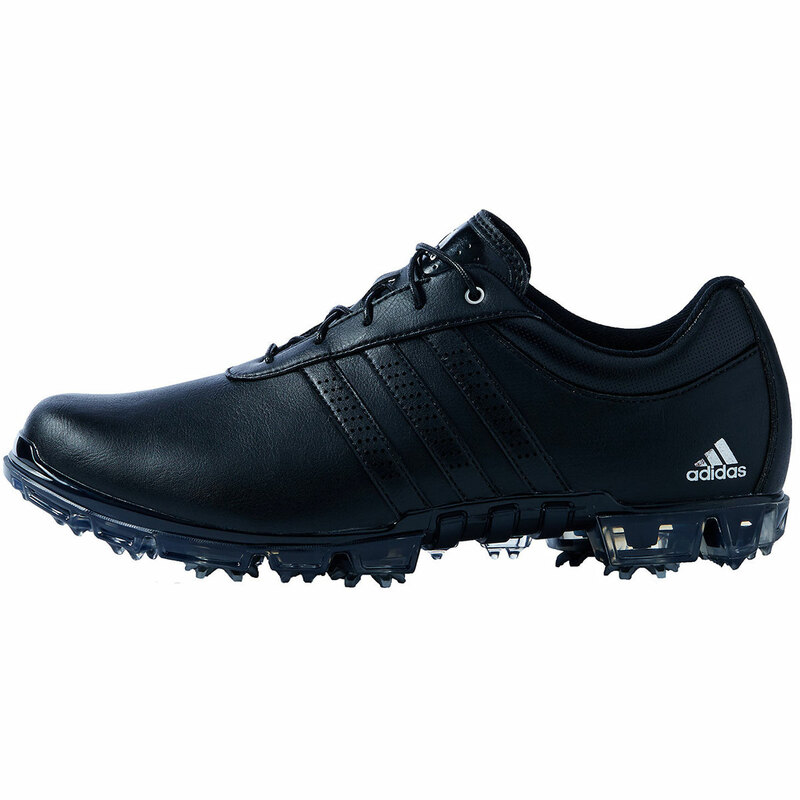 With a tour performance last, the front of the shoe is specially created to be wider. 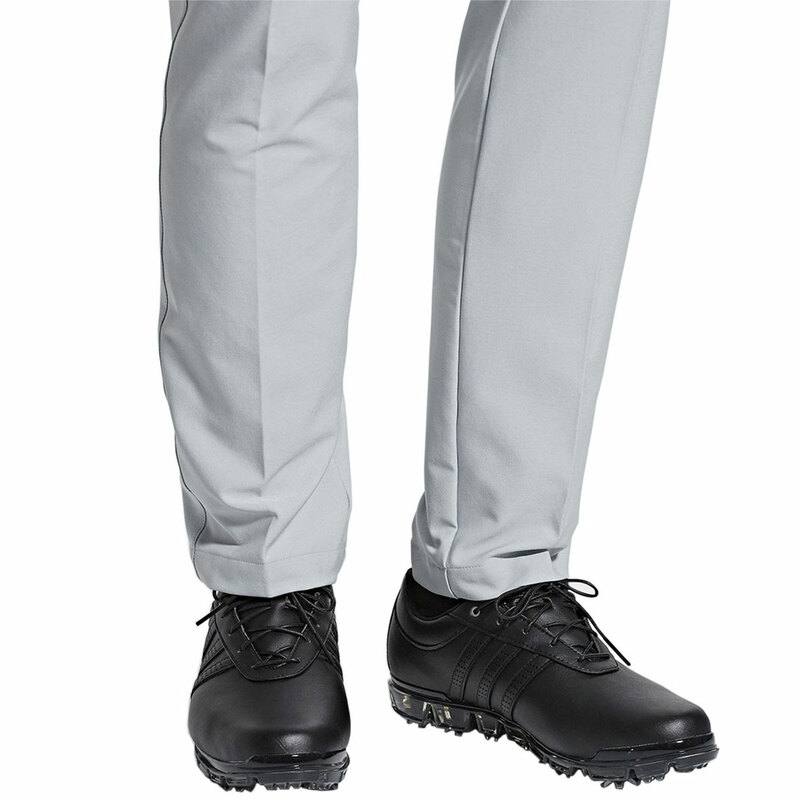 The synthetic lightweight upper material with Climaproof technology makes sure your feet stay protected and dry against even the worst of weathers whilst the PU sockliner offers exceptional padding and support for the tougher days on the course. What does the tech actually do? First things first, Climaproof, you cannot go wrong with this! 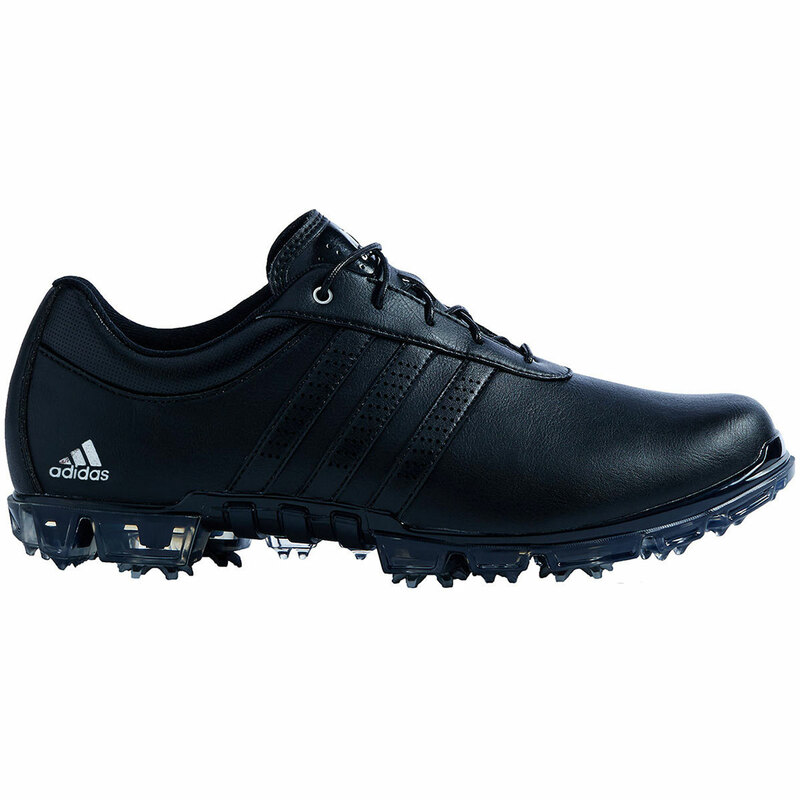 With a 1 year warranty attached you can head out to the course no matter what the weather. Providing 100% waterproof protection, the first layer wicks the moisture from the inside to the shoes surface and the second layer encases the foot with a waterproof membrane. Fitfoam is an excellent layer of cushioning, adidas have used a visco-elastic PU foam that has been designed to evenly disperse weight and pressure while providing long-lasting comfort. Thintech is a low profile outsole technology brings you even closer to the ground for improved stability, balance, footwork, power transfer and overall performance. 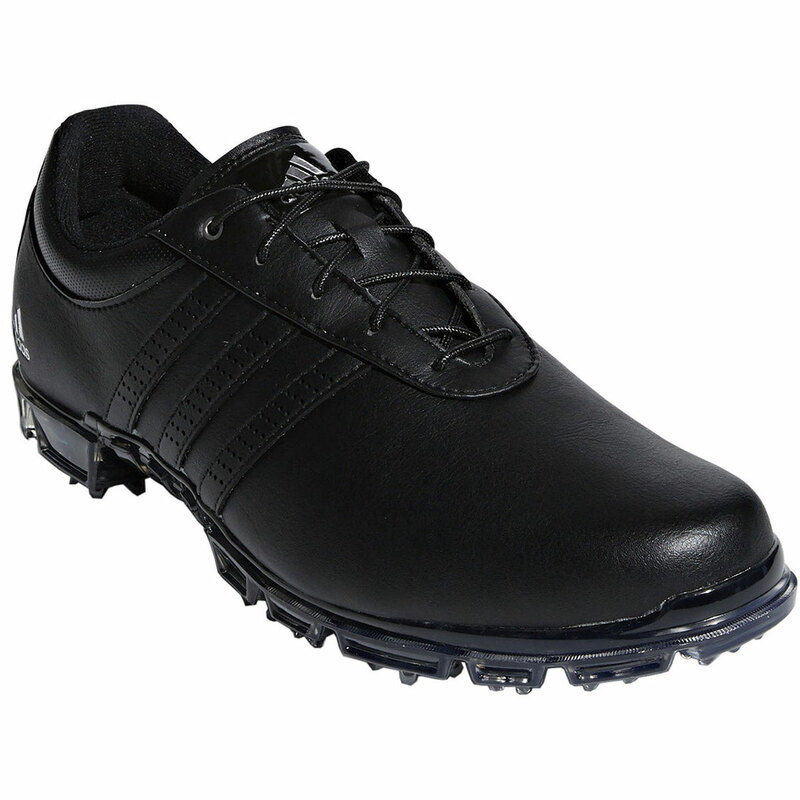 Puremotion provides a revolutionary outsole construction minimises use of material while providing deeper flex grooves. The Thintech Cleat is an advanced system that combines low profile anti clogging cleat design and a thinner outsole receptacle. 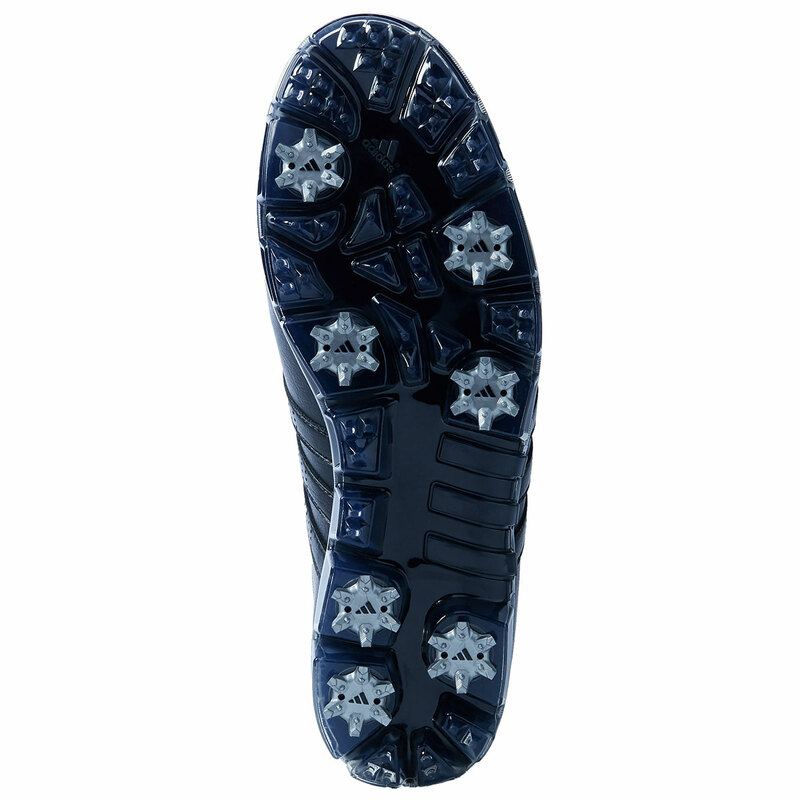 Puremotion TPU outsole features a 7 spike configuration while the thintech low profile technology provides improved traction, flexibility and stability. 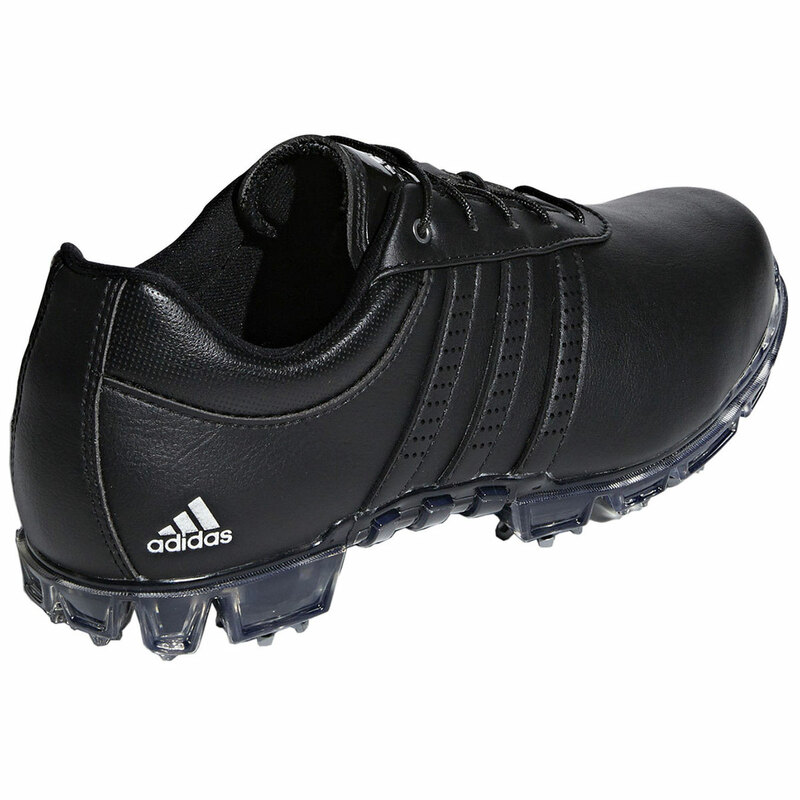 Adipure flex also employs a Thintech EXP cleat which provides far greater green friendliness. 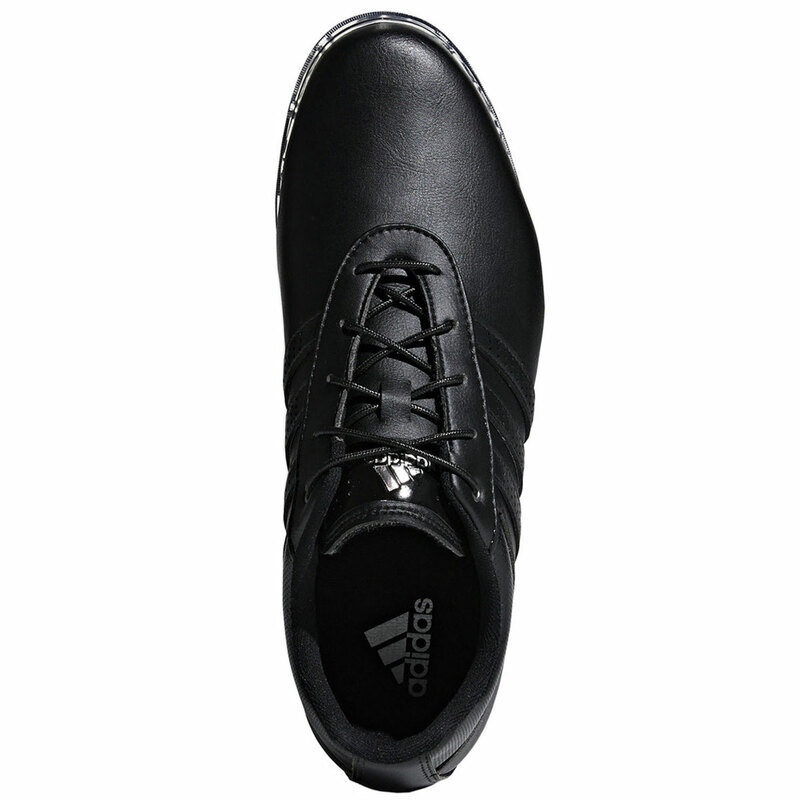 All this ensures excellent feel through your swing, and unlimited comfort through your day.